The Lexus RC F has been with us for more than three years and it seems like Lexus is ready to give the car a refresh. 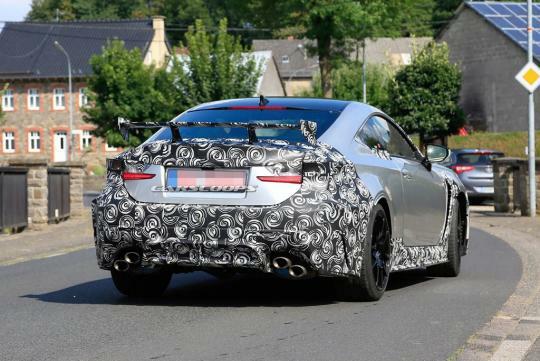 In an article spotted on Carscoops, photos of a facelifted RC F has been spotted on the roads in Europe undergoing tests. 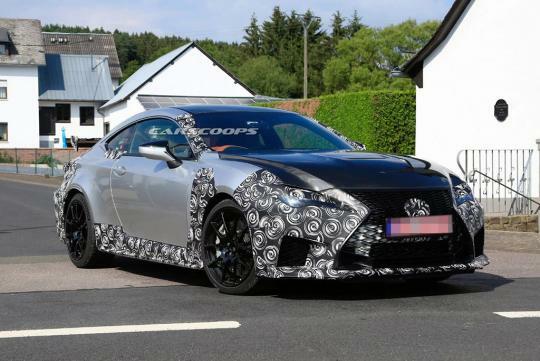 Previewed by the RC F GT concept, the car seen here in the photos looks like a more track-focused variant of the normal RC F, as we can assume via the aggressive rear wing and the carbon fibre hood. Other than the go-faster body parts, the car seems like it has also been equipped with a revised front and rear bumper, new headlights and side mirrors. Not much else is known about the car but we can expect the new RC F to stick to its current 5.0-litre V8 naturally-aspirated engine.